Create fun and intricate money origami using your Washingtons, Franklins, and Lincolns. These days, a dollar won't get you very far, but—in the right hands—a dollar bill can become a work of art. In Michael LaFosse's Dollar Origami, the world-renowned origami artist and co-founder of the eminent Origamido Studio shares twenty incredible creations specifically designed to be made out of dollar bills. Folded money models are wonderful gifts and conversation pieces, and LaFosse makes it easy for you to get started with projects ranging from "very simple" to "challenging." Money origami is more popular than ever, thanks to the panoply of designs and the wonderful folding qualities of the dollar bill. Many people like to give cash gifts or tips in folded money. While the classic origami folds still fascinate, money-fold enthusiasts are always looking for fresh ideas. 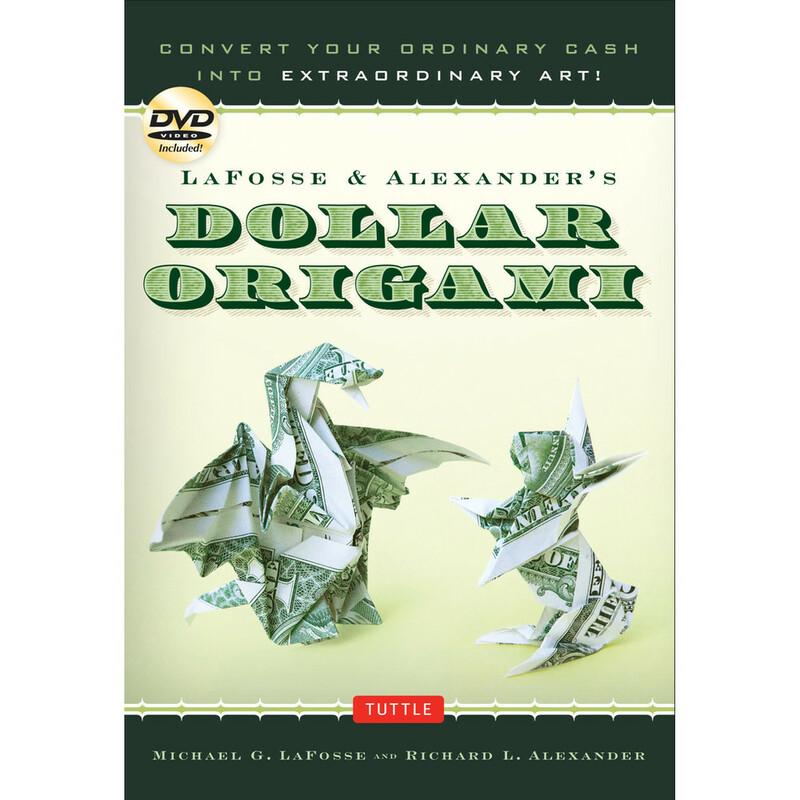 Michael LaFosse's Dollar Origami is full of original designs to learn origami quickly and easily. At such a great value—folding money has never been so easy or affordable! * 48 tear-out practice "dollar bills"